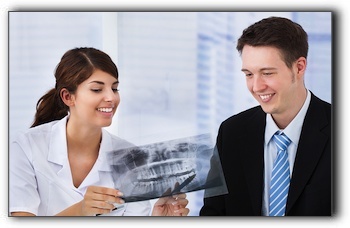 Quality dental care and cosmetic dental procudures can be extremely visible. Think porcelain veneers, dental crowns, and teeth whitening. Today, however, let’s talk about some purposefully unseen procedures that can contribute to a healthy, unforgettable smile. Today’s post will highlight three innovative cosmetic dental treatments: white fillings, invisible braces, and dental implants. Sure, the crown of a tooth implant is clearly visible. But the critical part – the component that makes them so much stronger than a dental bridge – is anchored into your jawbone. A titanium post secures your restoration to offer the look, feel, and strength of a natural tooth. If you are missing one or more teeth, examine dental implants. At The Sugar House Dentist we are devoted to creating appealing smiles for our valued Utah dental patients. We provide a full menu of general, preventative, restorative, and cosmetic dental treatments including complete smile makeovers. Some of our most popular treatments at The Sugar House Dentist include dental veneers, sedation dentistry, and family dentistry. Contact The Sugar House Dentist today at 385-299-7840 to schedule an informative consultation.